Several Posts ago, I posted a tutorial for the "Five Fat Quater Scarf". If you have been kind enough to have been reading my blog for a while, you would know that I can't throw away left over fabrics. Even the tiny pieces... I feel like there is some use for them and I have a hard time saying good-bye. With the Five Fat Quater Scarf, you will pretty much use the whole thing, but still, I had some left overs. Then, I came across this T-shirt in Rachel's closet. The colors clicked. I ironed the interfacing on the left over fabric and cutout circles. (no patterns nessesary, I just used tiny cups from my kitchen. ), then, I appliqued them onto the T-shirt. I thought the circles gave the T-shirt a modern look and was happy with the result. Well, I still had some leftovers (at this point, you are probably rolling your eyes), so I came up with this to go with the shirt. There, I used up all the fabric from that project and it feels nice! On my next post I want to show you some of the awesome thrift store finds and what I have done with them. Well everyone, have a fabulous week! Several years ago, I found this chair at a garage sale for two dollars. As you can see, It was in really bad condition. Originally, the chair had wheels,(which were all moldy and blueish), the vinal cover was ripped, and probably it was in the garage or outside for a long time it had lots of dust and spider webs!! The structure was good, and the pillow was still in good shape, it was firm. I couldn't pass it up, because I saw the potential. I must remind you that it was only two dollars. I thought this would be a perfect practice piece. When I got home I excitedly asked my husband, "Guess how much I paid for this?!". He paused and said, "75 cent? I wouldn't pay more then that." Ha! He wasn't being mean, he knows that when I say," Guess how much..." usually, I paid a very low price. So, he always low balls his guess. That comment made me more ambitious to give the chair a new look. I already had paint, so, for the materials, I spent close to thirty dollars. The foot stool is something I found at Target for Seven bucks and I upholstered it to match the chair. After the makeover I was at a gift shop, and saw an almost identical chair... My curiosity got the better of me and I couldn't help but flip the tag over to see the price. It was around Six hundred dollars! Yeah! I gave myself a high five and left the store. The chair is one of my favorite pieces of furniture that I own. I went through Rachel's closet and did some inventory for the fall. I do this before every season so I will know what still works from last year and what I need to buy for this year. I came to find out that this particular top, my I mean Rachel's favorite top is too short for her! The thing is, there is enough width, the sleeves are long enough but it is too short in the torso. There are no stains; it is in perfect condition- I wanted to do something, so she could still wear it for this fall. First,I went to my beloved fabric stash and picked out three fabrics. Basically, I made a tiered skirt and attached it to the top! The weight of the skirts actually stretched the top a little, but I love the results. Rachel was excited to see the restyled new dress and started wearing it right way. If you have a top that is too short on your little girl, showing too much tummy or back, this might be a fun solution. Well, the day finally arrived! It is not easy to plan and prepare for a birthday party with a busy life, but we did it. Cousin Anthony slept over the night before, so with the help of the three boys and my husband, we were able to finish the decorations. They were such good helpers. Rachel wanted lots of pink and princesses for her party, so, that was pretty much the theme of the party. Her family and friends were there. There were some fun games, lots of sugar, and she loved all the nice presesnts she recieved. (Thankyou everyone!) Who could ask for more? Eventhough, my husband and I were so tired after the party and took a three hour nap, it was all worth it. It was a good day, and I know she will remember this day for a long time. I just want to give a big "THANK YOU" to all of you who participated in this give away. 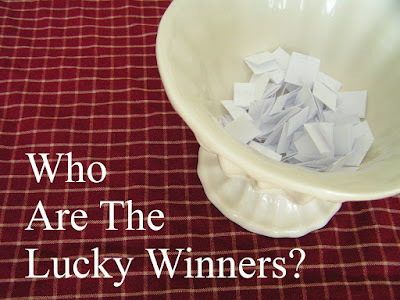 Of corse I want everyone to win, but I could only pick three winners... I asked my kids to pick the lucky winner for each items. Congratulations ladies! Please send me an e-mail with your info so I can send you the item. My beloved readers, who didn't win this time, I am going to do more give aways in the future. Next time you might be the lucky one! With beautiful fabrics by Amy Butler, I designed this scarf. It is simple to make. 1. Cut the fat quarters to 3 1/2" x 13 1/2" strips. You should be able to cut six strips from each fat quarter. 2. Sew the strips together; each row has five different strips. 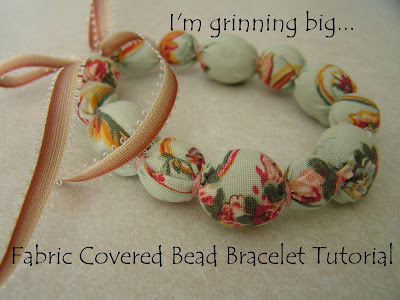 You should lay them out and see how you want them to look before you start sewing. I made the first row, then each row was laid out like the row before, but each strip was shifted one direction. Also, make sure that the same fabrics don't come next to each other. 3. Sew rows 1, 2, 3, 4, 5, and 6 in order. 4. With the right sides together, fold the fabric in half, length wise. (basically, between rows 3 and 4). Cut both ends at a 45° angle. 5. Open up the ends and lay the pom-poms in. Fold the fabric as before and use pins to secure the pom-poms in place. 6. Before you start sewing around the edge, change the pressure foot on your sewing machine to the zipper foot, so you can sew the area that has the pom-poms without struggling. Leaving a 5" opening in the middle of the scarf, sew around the edge. Flip the fabric inside out. Iron. 7. Stitch around the edge for a nice finish. (this also helps to secure the fabric and keep its shape for when you decided to wash it. I am so excited at how it turned out! Because of the color, I think it will go with my jean jacket too. I am sad to see the summer go, but this is a new reason to look forward to the coming season! About four years ago, near the end of my pregnancy with Rachel, my dear friends threw a baby shower for me. Before the shower, I made a small booklet with a pink cover. I wanted the guests to write down some wisdom they learned over the years that they could share with Rachel. I thought that when she is older and ready, we can sit down together and read it. I belive we all have something to share and can enrich each others lives. All the gifts I recived for the baby were great, but the things written down in the small booklet I treasure the most. One of my dear friends, who helped with my shower, was throwing a baby shower for her sister recently and asked me to make a personalized booklet. I was so flattered that she still remembered it and of couse I said, "Yes!" The picture above is the one I created for her sister's baby. It is very simple to make, but what's written down holds such great value. Wisdom is one of the greatest gifts we can receive, don't you think? I received these beautiful fabrics for Christmas from my sweet sister-in-law. As much as I love Moda, I also love the work of Amy Butler. For months and months I would pull them out, unfold them, line them up, and look at them. I just couldn't decide what to do with them. Most of Amy Butler's fabrics are very bold colors and have larger patterns that's why I have a hard time cutting them up in to tiny pieces. I feel like I want to keep them as is and look at them as a work of art. I have been going back and forth between framing them, making a bag, or making a wall hanging. Then, all of a sudden an idea came to me today! Do you ever get that light bulb moment? I got that, "Aha!" moment. Well, it is late tonight I will not start cutting right now, but hopefully, I will be able to share what I came up with sometime next week. If you haven't entered in to my free give away, don't forget to do so. Have a nice Sunday everyone! As I mentioned on the last post, August 20th is my one year blog anniversary. It has been such a fun experience. It has motivated me to finish the projects I have started (so I can share them with you! ), also along the way, I "met" fabulous people that I otherwise wouldn't have met. I will definately, keep going from now on too. To show my appreciation to my beloved readers, I am going to do a give away! The "it" bag I made from Moda oil cloth! I had great responses to this one, so I thought you ladies would love this. Pin cusion made out of "Seaside Rose" fabric. It has rice in the bottom to give it some weight. The last one is a Moda Charm pack! I chose the one by Three Sisters, since I adore their style so much. 4.You can enter until the morning of the 20th. On the night of the 20th, I will post the winner. If you are the winner, email your mailing address to me, so I can send you the kit. If you live outside of the United States, don't be shy, post a comment! I will gladly send you the item if you are the winner. Since I have three items to give away, I will draw three names. The first winner will get the first item, the second winner will get the second item. And of course, the third winner gets the third item. Does that make sense? I hope you will enjoy this give away, thank you for visiting! I noticed that I haven't posted about my sewing projects or crafts for a few post. I have been very busy, and I absolutly had NO. TIME. TO. SEW. In one more week the kids will start school and I am trying to do something fun with them everyday. Today, I went to park with a water fountain in Highland with my friends and their children; it was so fun! My kids had such a wonderful time until... Rachel slipped and cut her face on a stone bench! She was bleeding like crazy and of course she was screaming her head off. The whole time her brothers were being such good support for her, they tried to comfort her and made some jokes to make her laugh... eventhough I was a little stressed it was so nice to see that they care about thier little sister. By the way blogger friends, I have some news to tell you all. August 20th is my first blog anniversary, and I am going to do a GIVE AWAY!! I will post the items tomorrow night and I will post the winner on the 20th. This will be fun! I hope many of you will come to check it out! The last weekend my sweet husband took me on an anniversary get away. Needless to say I had a wonderful time!! He reserved a nice hotel in downtown for two nights. The first night we ate at my favorite restaurant, "Takashi". While we were waiting for our sushi, I looked outside. I love old buildings with architectural details. The sky, the building and the tree made such a pretty sight. Oh, they were so good! The rest of the weekend, we went to see a movie, did some shopping and talked to each other A LOT without interruptions! It was so fun and relaxing. Eventhough I missed the children, I had hard time leaving the hotel. There is a one thing that I didn't like about the "nice hotel" though... we thought that it will be nice to order breakfast in bed, so we looked at the menu. One bowl of cereal cost SEVEN DOLLARS!! Wow! I quickly got up and got myself ready to go out to get something to eat. The week before, I went grocery shopping with my friend and bought 10 boxes of cereal; with a special deal and coupons, I only paid 88cents a box. (usually, one box of cereal will have 10-14 servings). I don't think I could digest the 7 dollar bowl of cereal very well. Who knows, if I become a famous blogger someday, I might consider it... Nah! Yeap, that's us; my red headed husband and I. A few years ago, I found these pezz dispensers and had to get them. Popeye doesn't have a beard, so I bought Brutus (and, he looks more like my husband). I painted the black hair to red and gave it to my husband as a gift. He got a kick out of it. As you can see in the picture, my husband's pezz is more worn out. Kids love this and often play with it. He had to fight off super heroes and villian figures. In real life it is kind of a similar story, he goes to work everyday so I get to be a stay-at-home mom and take care of the kids. He loves us and takes care of us. In that way he is my super hero. Our fourteenth anniversary is coming up in next week. He is taking me away for a nice get away this weekend! This is actually our first time doing something like this, we always had a bunch of reasons not to go. In fourteen years we had been through a lot, many, many medical problems (mostly mine), loss of jobs etc... but those hardships brought us closer, and made us stronger as a couple. We are NO WHERE NEAR PERFCT, that is why we stay together, help each other, so we can become better people. I remember lots of great moments and I am looking forward to many more of those in the years to come. He is my best friend, he understands me, and supports me. It may not be easy to be a husband of a girl with many hobbies and is addicted to fabrics; but he does a great job. If there is such a thing as a "best husband award" he will definately get it (sorry ladies, it's true). I am so excited, I can't wait to get our weekend started! I'll be back on Monday, everyone have a great weekend! I found this adorable iron bell a few months ago, when I was out yard saleing (is that even a word?) with my friends. I paid 5 dollars for it. By my yard sale standerds, 5 dollers is a lot of money, but I think this little birdy is worth every penny. We (I mean, my husband) finally put it up today and I LOVE IT!! I always wanted to make felt food and I had lots of felt (again, I rediscoverd them when I was cleaning the closet...) so, I started with a simple cookie. It was so fun that I ended up making more and more. The last bit of summer vacation is left and we have so much going on, so we are not having her birthday party on her actual birthday, but she can start playing with these felt foods soon.